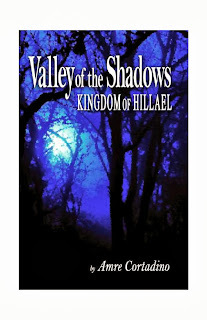 Kingdom of Hillael is just as the title states, a story about this Kingdom and the royal family that has rule over it. I feel like this book is a lot longer than it really needed to be. There was a lot of needless conversation, and some parts of the story dragged on, when maybe all it needed was a page or two. I found my mind wandering a lot at different times while reading this book. I didn’t get attached to any of the characters which is maybe why the reading was so bland to me. I didn’t think any of them were relatable nor did I have any real emotion towards them. While the creativity is surely there with this one, it is a very complex world with a lot of detail put into it, I think the flow is missing and as stated before, some parts really seem to drag. 2.5/5 stars. Good concept and imagination, but it just misses the mark. Maybe this just isn’t my genre.